2014/4/5 (Sat.) 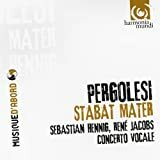 – Pergolesi: Stabat Mater (Merton College Chapel, Oxford). Part of the Passiontide at Merton. Four organ pieces, by Bach, Brahms and Buxtehude, two before and two after the Pergolesi masterpiece. The newly installed organ was gorgeous, lucid and never ostentatious. Stabat Mater featured Eloise Irving on soprano and Jeremy Kenyon on alto. The tempo was quite fast even on the Baroque standard, but the ensemble at times lacked the crispness characteristic of HIP. Irving was beautiful on high, long notes, and though Kenyon was less than perfectly fluid in difficult passages, their voices harmonised very well. 2014/4/27 (Sun.) – Martin Creed: What’s the point of it? (Hayward Galley, Southbank Centre, London). One remarkable thing about this wonderful exhibition was that most viewers, young or old, were laughing. At the works, at the artist, and perhaps at themselves. Is that the point of it? Maybe. But what’s the point of saying that? I was glad to see the famous blu-tack for the first time, which looked much smaller than I had thought, having had seen it only in photographic reproductions. And I did go in inside Work No.200 Half the air in a given space. If you just read about it, it has quite a lot of conceptual air to it; if you are in it, it’s just a pointlessly fun playground.